Of all the business decisions you face, one of the most important is choosing the right retirement plan for your company. It is a decision that will affect your company's ability to attract and retain the best employees, and will ultimately impact their long-term security. 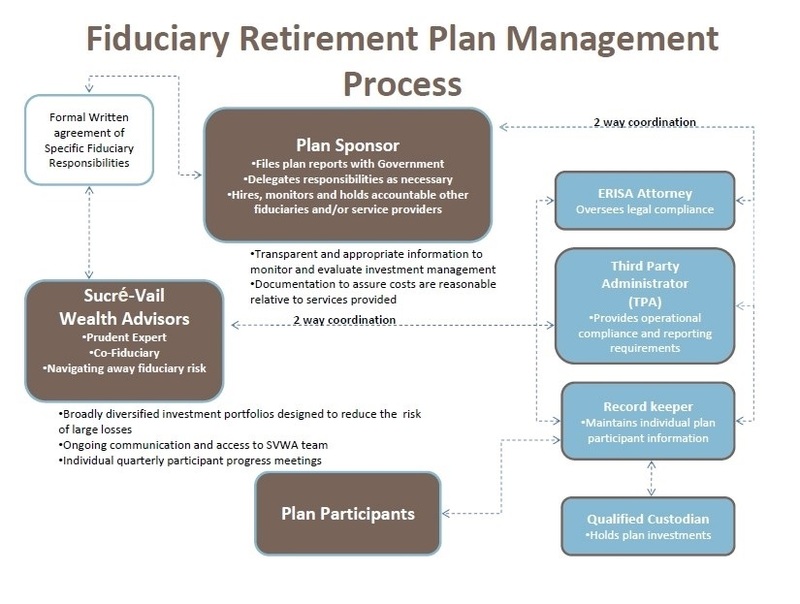 Equally important are the fiduciary challenges you face on a daily basis as a plan sponsor. As a plan sponsor, you have many responsibilities. As a plan fiduciary, you have both organizational and personal liabilities for ensuring things are done properly. Did you select the right investments for the retirement plan? Are you tracking fund performance and replacing underperforming funds in a timely manner? Are all plan costs reasonable? Are you regularly benchmarking and renegotiating fees? Have you documented your plan administration process? Have you provided your employees with the appropriate amount of investment education? 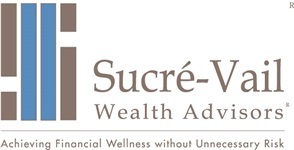 Sucré-Vail Wealth Advisors offers a fully-integrated retirement solution that provides everything you need to help employees invest toward a comfortable retirement, while giving you the fiduciary reassurance that you can answer these questions confidently. Through strategic alliances with our partners, our solution is structured to promote and maintain employee participation through personalized asset allocation strategies that help to achieve retirement goals. It has also been designed to take away many of the cumbersome details of the day-to-day management of your plan. We offer a free plan review to help determine if your plan is on track. Please contact us for more information.